Whether you’ve decided it’s time for an upgrade or you’re moving on to a new city, if you’re selling your home you may be wondering how you can boost its value before listing it up for sale. In today’s blog post we’ll share four ways that you can spend a bit of time and money upgrading your home before it hits the local real estate market. You’ll want your home to make a great first impression, and as such a great place to start is by sprucing up your lawn, gardens and other landscape features. Your grass should be a healthy green, free of weeds and freshly trimmed. If you can, look to add seasonal flowers in your front gardens as this can add a bit of color to your home. Keep any shrubs or trees trimmed away from the home so that buyers can get a good look. Another excellent way to increase your home’s “curb appeal” is by applying a fresh coat of paint to the house, the trim around the windows and the front door. 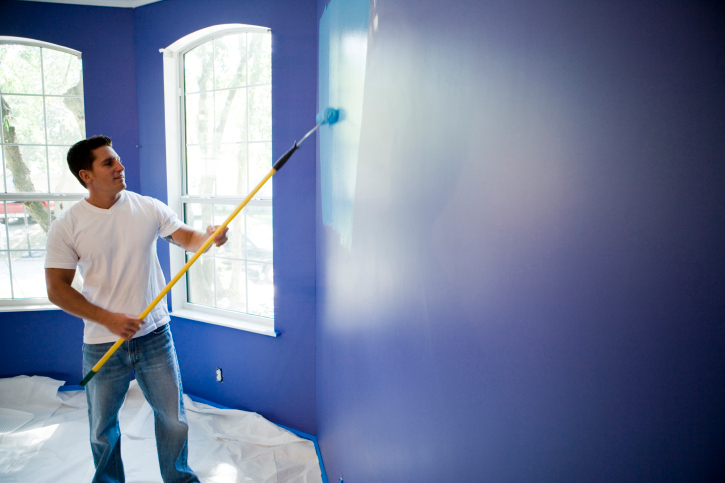 Of course, painting a house is a big job so this might be one that is best left to a team of professionals. For added effect, replace the fixtures on the front door and pick up new house numbers. Many buyers will focus intently on your kitchen and the condition of everything from your flooring to your cupboards. If you have an older refrigerator or stove you’ll want to replace those with newer stainless-steel models. You’ll also want to ensure that you have quality countertops – if you’re replacing them, consider going with granite as it’s popular with younger buyers. Finally, if you haven’t renovated your bathroom recently you’ll want to invest in modernizing your faucets, mirrors and other fixtures. The decor of your bathroom should match that in the rest of your home, but also stand out in its own unique way. If you have an old bathtub with stained porcelain, consider replacing it with a glass-enclosed waterfall shower. Don’t forget about your light fixtures; if you find the bathroom is a bit dark, replace these with something that adds brightness. This entry was posted in Home Seller Tips and tagged Home Selling, Home Staging, Selling a Home by BJ Kirkpatrick. Bookmark the permalink.